Music, poetry, artwork, tasty treats, children’s activities and more abound at the 1st Annual Martin Luther King Celebration coming up this coming Sunday, January 20, at the Bainbridge Island Museum of Art from 4-8 pm. 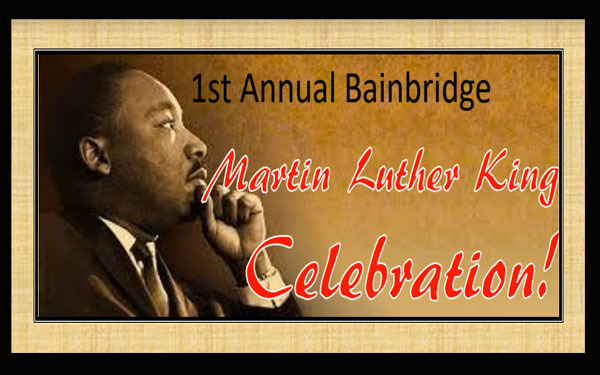 In celebration of the legacy of Dr. Martin Luther King, Jr, the Race Equity Network of Bainbridge Island is hosting the first annual celebration of diversity, inclusion and culture on Bainbridge. Listen to this podcast as Erin Phillips and Karen Vargas, two of the event’s organizers, talk about why Dr. Martin Luther King, Jr.’s message continues to resonate today and what we can do on Bainbridge to create the loving and compassionate community he envisioned. This is a free, family-friendly event with activities for all ages and many opportunities to connect as a community. For more information, visit https://www.biartmuseum.org/event/martin-luther-king-jr-day-community-celebration/ — and don’t miss out on the fun!